8,000 Pound Reach Forklift Rental – SkyTrak 8042 , is available for rent in Rochester NY, Ithaca NY and the entire Western New York region from the Duke Company. 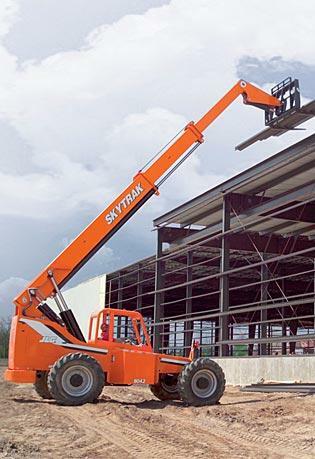 The SkyTrak 8042 reach forklift features a four-speed modulated transmission for productivity and maneuverability. Optional attachments enable high versatility for a wide range of jobsite needs.